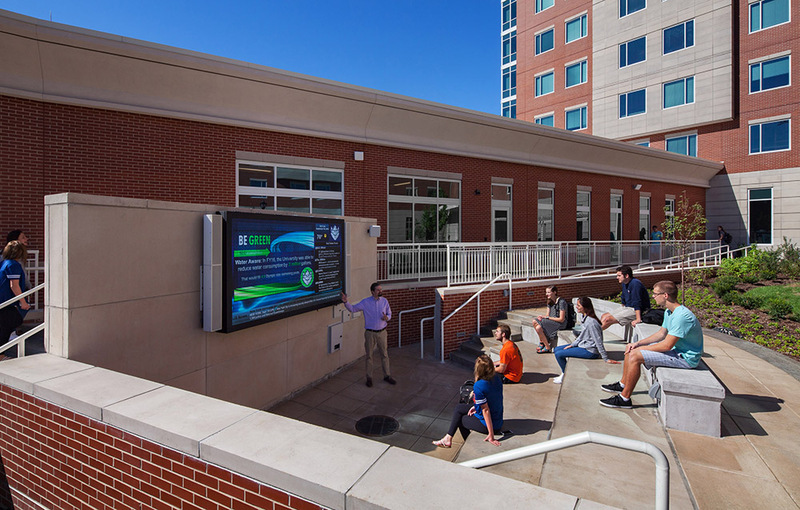 Amenities encourage students to collaborate and learn outside of the classroom. 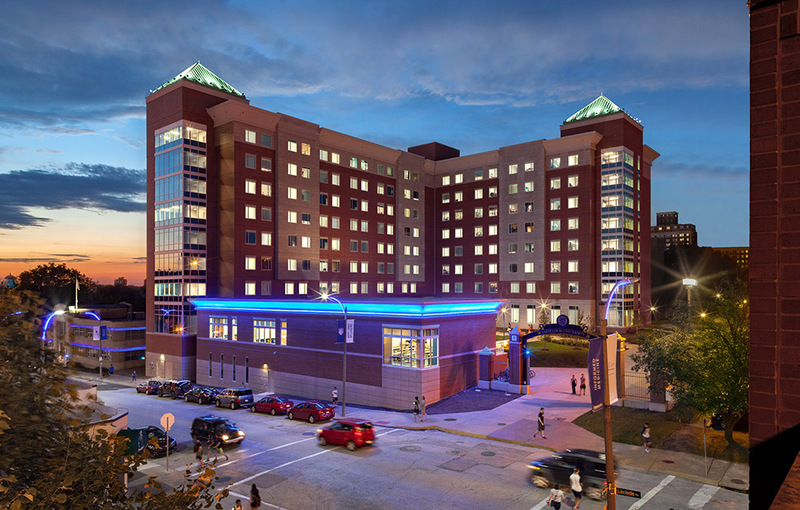 Saint Louis University engaged Hastings+Chivetta to design two new student housing facilities – the 454-bed Spring Hall and the 528-bed Grand Hall. 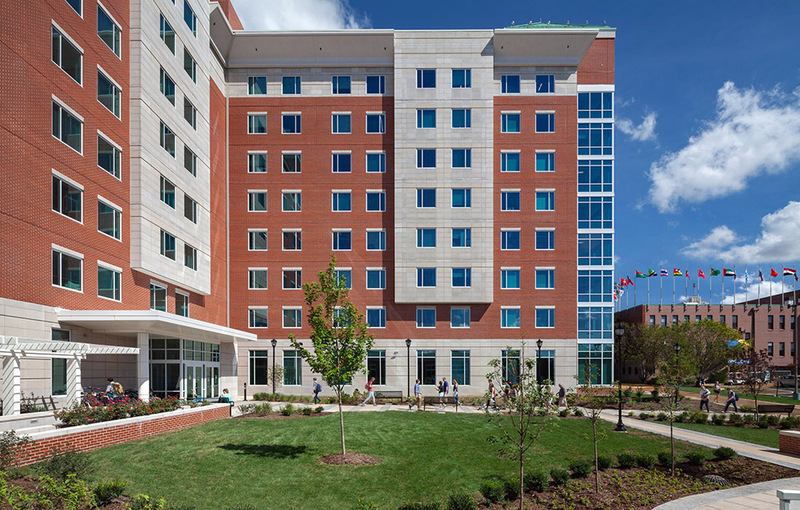 Spring Hall is designed for first- and second-year students, and houses two Learning Communities – the Leadership for Social Change Community and the Honors Learning Community. 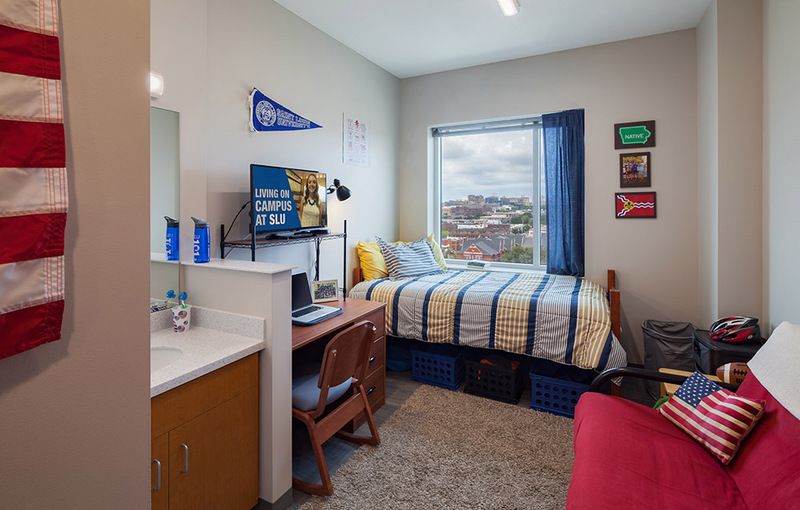 A range of amenities support a collaborative student lifestyle, with a focus on integrating academics and student life. 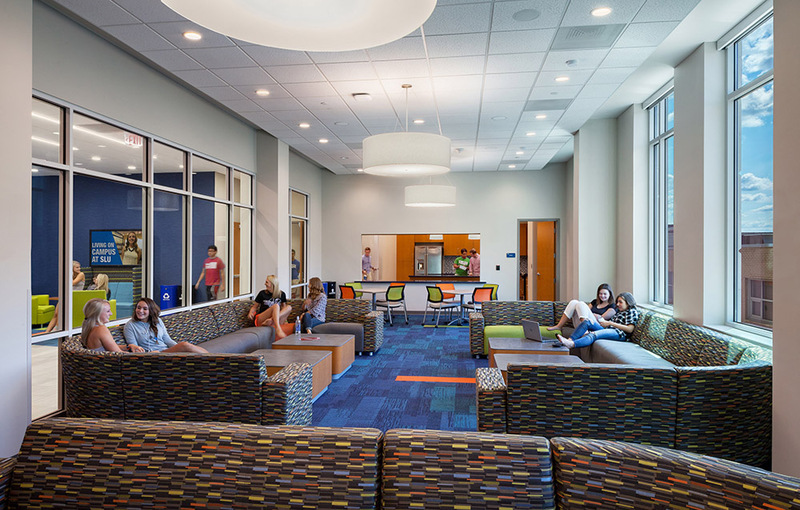 A chapel, community kitchen, and community living room encourage students to share their spiritual and cultural traditions. 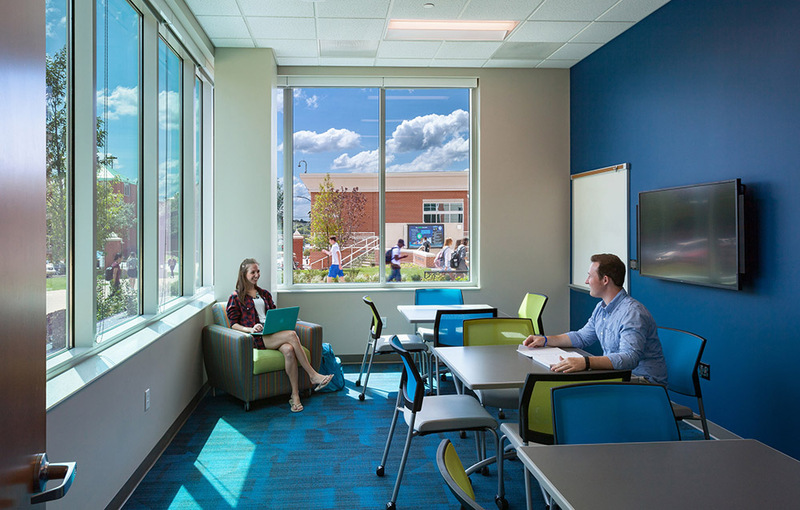 Sun-filled lounges and study rooms are located on each floor, most with expansive views to the surrounding city. Student organizations are making use of conference rooms and classrooms equipped with teleconferencing capabilities. Students wishing to practice an instrument can use one of two acoustically-isolated music practice rooms. 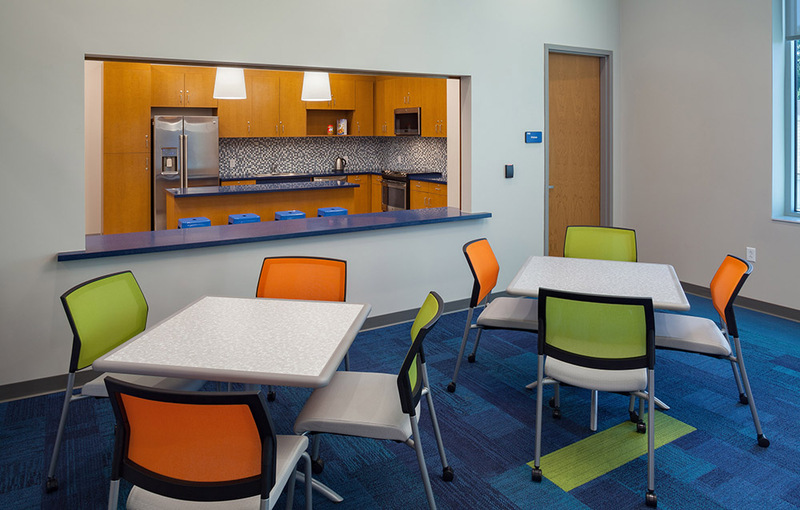 An office suite on the main level serves staff of Spring Hall as well as the campus minister. 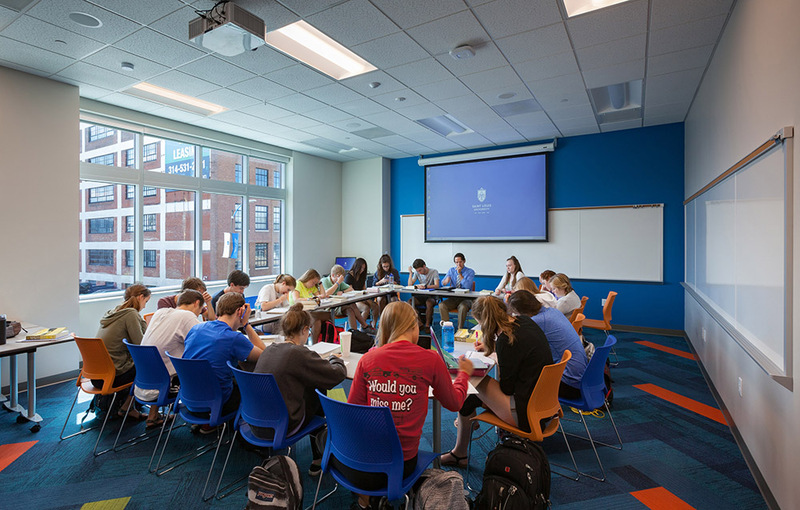 Nearby are flexible hoteling suites for faculty who use the facility’s classrooms. Residents are accommodated in single and double suites, with in-room sinks and a shared restroom/shower for each suite. In addition, ADA-accessible rooms are located on each floor. 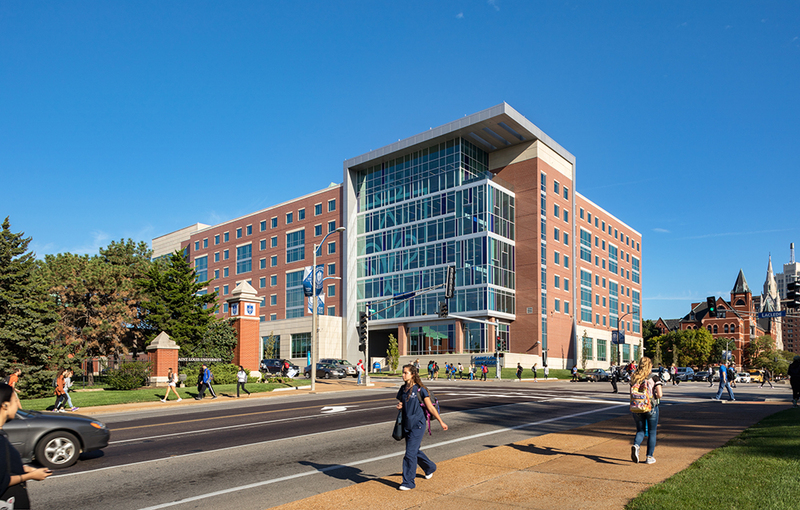 The exterior building materials are designed to harmonize with Saint Louis University’s historic context. 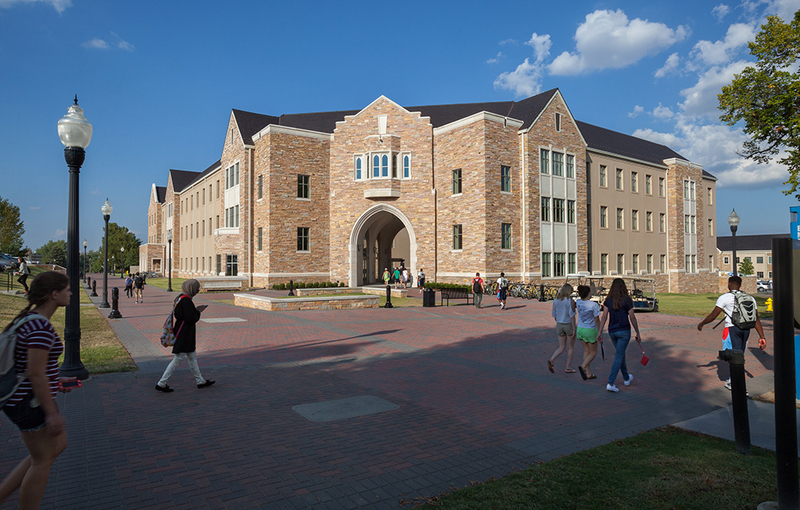 The façade incorporates brick with cast stone that mimics the limestone prevalent on campus. A large outdoor courtyard creates a central gathering space for students, and includes a “front porch” with a pergola, fire pits, and integrated benches. 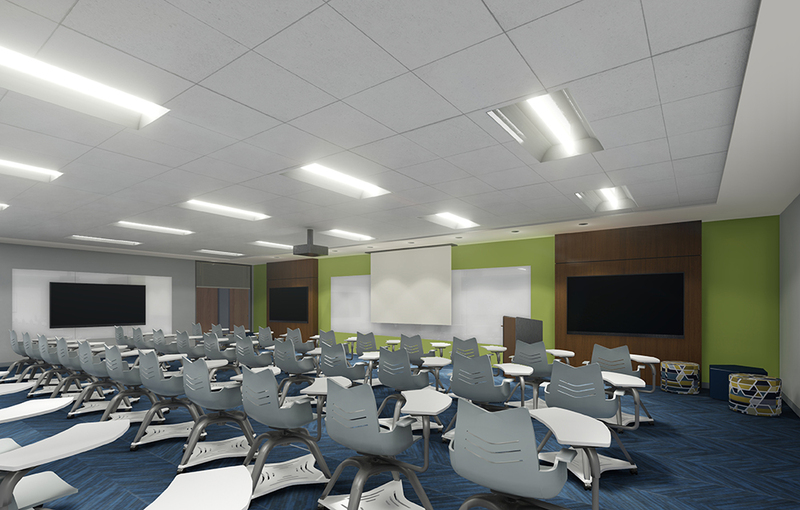 Also included is a large outdoor television and sound system surrounded by tiered seating that can be used for both classes and resident movie nights.